India is a natural ally of the US and our other allies as well as a natural competitor of China, provided we transform our relationship with Pakistan, which since the partition of India has been a major obstacle to Indan-Western relations. Pakistan and its out of control ISI has proved not only a poor US/NATO ally in Afghanistan but an active enemy. It is long past time to sever all support of Pakustan, and start actively undermining them as they seek to destroy all that we have accomplished in Afgjanistan. That will result in even more inroads by China in Pakistan, but that process is already well underway. There must finally be severe costs imposed by the US on Pakistan for their ISI perfidy and active support of AQ and the Taliban. 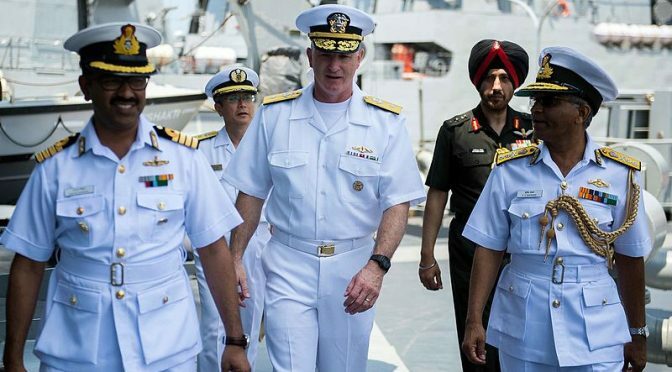 India will cheer such disengagement and comeuppance with and on their mortal existential enemies, and begin to engage cooperatively with the US to contain PRC ambitions throughout the Indo-Pac region.